Based on a true story, the intelligence community figures out that the traveling band of social misfits who make comic books are an exact match to the profiles of candidates recruited for intelligence and counterintelligence gathering. 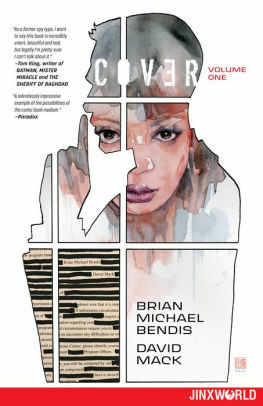 Bestselling creators Brian Michael Bendis and David Mack bring this incredible espionage epic to Jinxworld in Cover Vol. 1! A very well-known comics creator is recruited by the agency to live a double life as a spy. And convention season is upon us. With a nod to films like Confessions of a Dangerous Mind and The In-Laws, this comic celebrates comics, comic creators, readers and of course, spies!